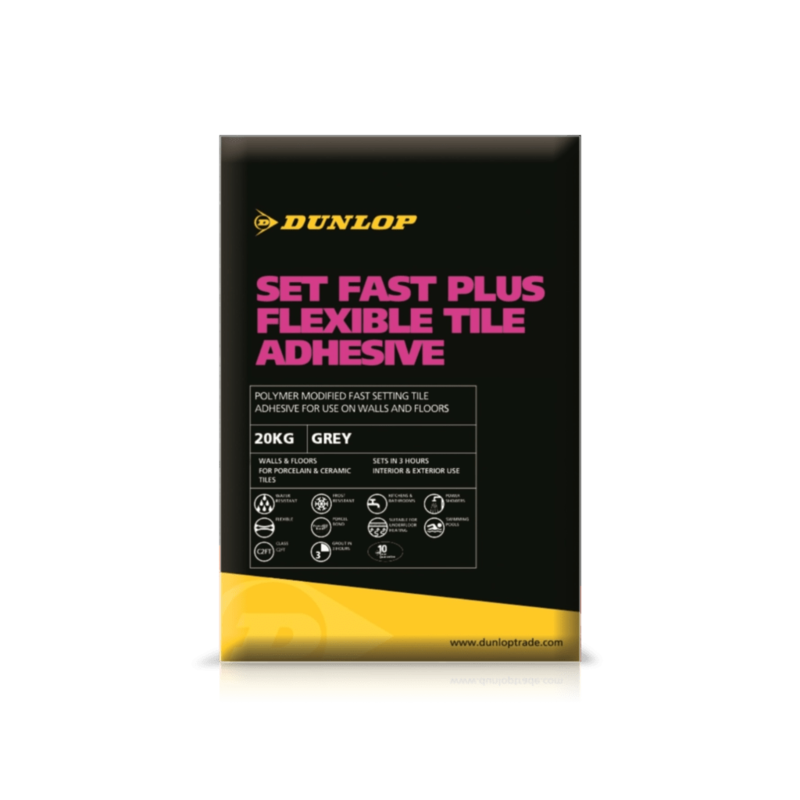 DUNLOP SET FAST PLUS FLEXIBLE TILE ADHESIVE is a rapid-setting powder-based tile adhesive suitable for fixing floor and wall tiles including porcelain, fully vitrified, mosaics, quarry, brick slips and stone claddings. Suitable for interior and exterior areas including patios, the set adhesive is frost and water resistant and tiles can be grouted 3 hours after fixing. Suitable for use in showers, or under continuous immersion such as swimming pools. Our Set Fast Plus Flexible Tiling Adhesive will get the job done in no time! 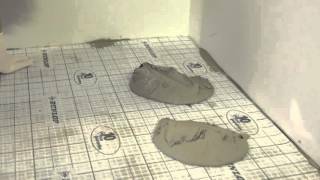 Depends on the nature and flatness of the surface and the method of application, but on a level background the amount of adhesive required will be: approx. 2kg/m2 for dry wall areas. approx. 4kg/m2 for floors, exterior and wet areas.